DPW: Tankwa Town’s very own Department of Public Works, the crew that heads up early to lay down the groundwork of the town, makes sure it all stays put during the event, and then stays for weeks after to break it all down and make sure that nothing remains – Leave No Trace anyone? Out there, These folks are the ones that make sure everything stays on track. They receive plans and requests from the Operations Team and make sure that they come to life on time. Timelines might literally get washed off black boards and some crew members might lose track of what day it is but logistics are real and deadlines have to be met. If you’ve ever used a road sign or white tape to make sure you find your way home in Tankwa Town, you’ve got Signage and Demarcation to thank! With over 20km of white tape, thousands of nails and hundreds of squats a day, this crew lays out the city grid. They make the first marks in the dust by marking roads, suburbs and blocks. And once that’s done they put each and every sign out there in its right place. Ever had the privilege of witnessing a production line in the desert? These are the guys and girls that make it look pretty. We’ve got a metal shop and a carpentry crew and they take care of building. Decks, massive air control towers, blackboards, floors, lampposts, toilets and shade. You name it, we build it. You didn’t think that the desert would need more HEaT, but we do. All those things that the construction teams build need to be installed, and that’s where HEaT comes in. This crew unpacks and moves everything from our storage space on site, puts it in its correct place (hopefully first time) and puts it up. PEOPLE POWER! The kitchen is the heart of DPW. These legends are responsible for feeding the (very hungry) crew. They get up early and work late to make sure that everyone gets the nutrition they need to succeed in some of the most intense working conditions a human can experience. During the event they feed Medics, Fire fighters, Ops Team, Rangers and other volunteers on shift. Up to 300 people, three meals a day? No problemo. 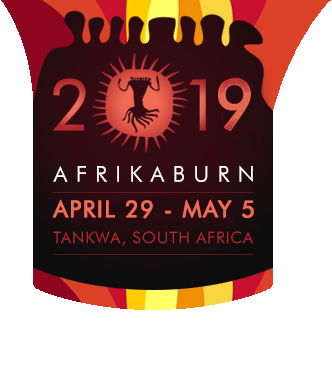 Keen on cooking up a storm in Tankwa Town? Head over to the kitchen form here. Ever smashed a rebar into the ground in the Tankwa? Now try doing it over 40 times a day. In a sandstorm. The two rigging crews know the ropes with all the tents, shade, masts, fences and scaff towers needed for all operational infrastructure. Let there be light (and cold beer)! The power rangers make sure the VOC (Venue Operations Centre), JOC (Joint Operations Centre), Gate, Off-Centre Camp, Medics, Airport and Site Office have electricity, lights, and radio comms. They also make sure the lampposts all work, and that you have enough light to not fall off the toilet steps. The DPW fleet is a special one, made up of some of the most interesting cars you will ever see. Our mechanics know what’s up and do what it takes to make sure our cars and tools keep working despite the desert conditions. Waste and Sanitation. The stinkiest crew on site. This involves making sure that all the toilets are constructed and ready for the event, maintained during the event, and that all the kak is sorted after. But that’s not all. We also have the BEST recycling depot EVER, which sorts out all the trash generated by DPW and the VOC over the course of our stay on site, as well as processes all the MOOP that Leave No Trace collects post event. WASH is also our brilliant waterworks team who sets up the showers and deals with all the greywater we generate. Leave No Trace also falls under WASH – our intrepid MOOP Warriors who restore the Tankwa to its pre-event pristine condition. Toilets, Recycling, Plumbing and Clean up. Sorted. You will never have an experience quite like a season with DPW. It’s an exercise in hard work, community, and service. And you’re guaranteed to make a new family. Keen? Think you have the gumption and the gusto to join the hardest working crew in the Southern Hemisphere? Want to strain and sweat in the lovely Tankwa sunshine for weeks and weeks, building a massive city of participation and invention? Hit this link to apply for DPW Crew 2019. Our crew leads for 2019 have been announced – read up about them, and what areas they’ll be managing in the dust, right here.